As you know, Red and I will soon hike the Pacific Crest Trail from Canada to Mexico. Since I began telling people our plans, I've been asked a lot of questions, so I thought I’d post some answers to the most frequently asked. The Pacific Crest Trail, or PCT, traverses over 2,650 miles from Mexico to Canada through Washington, Oregon, and California. It ranges in elevation from 140 feet above sea level to 13,153 feet, with a cumulative elevation gain of 489,418 feet1. Approximately 700-900 people attempt a thru-hike annually, but only about 40-50 attempt the trail southbound. Fewer than half will finish. Why are you going southbound? It's tradition to go north on the PCT, in fact, only about 5% go south. Our main reason is so we finish the trail in a warmer climate, so we have the option to continue beyond the Mexican border or elsewhere. The southbound hike is considered harder and more dangerous, due largely to the timing with the seasons, but that’s also part of the appeal. There are some advantages in going south. We'll have warmer weather and less rain up north, fewer hikers and bugs in the Sierras, and lower temperatures and fewer snakes in the Mojave Desert. More on the disadvantages below. How are the Pacific Crest Trail and Appalachian Trail different? Some have asked me why I'm not leaving the United States for my next big hike. Eventually I will, possibly right after the PCT. Nevertheless, the southbound PCT hike will be a much different experience than the Appalachian Trail. It will force me to use some skills that were not necessary on the AT, like advanced navigation and some light mountaineering skills. There will be fewer people on the PCT, possibly 90% fewer than on my southbound AT hike. It’s a lot more remote as well, with fewer places to resupply, no shelters, and I’ll face many other challenges I’ve never faced before, but more on that below. Sure, it’s not another country, but when it comes to long distance trails in the world, it’s as different from the AT as just about anywhere else. Besides, it's one of the top two things on my life list. What will you see on this trail? We'll see constant beauty rivaling any trail in the world: high mountains, lush forests, expansive views, brilliantly starry skies, numerous species of wildlife, and the dry deserts of Southern California. 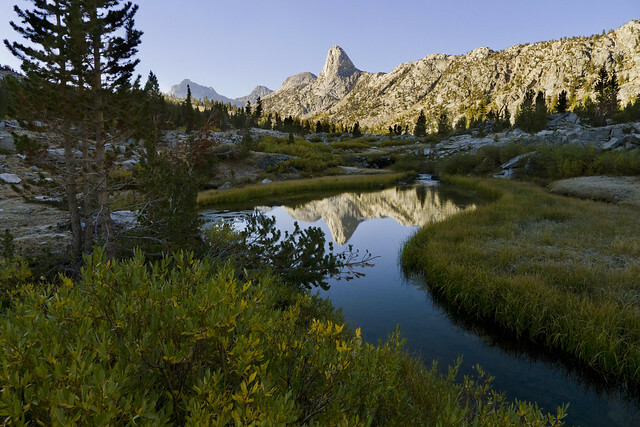 The PCT travels through seven national parks, including North Cascades, Mount Rainier, Crater Lake, Lassen Volcanic, Yosemite, Kings Canyon, Sequoia, and the Mojave Desert. Additionally, we’ll climb nearly 60 major mountain passes, descend into 10 major canyons, pass more than 1,000 lakes, 26 national forests, 3 national monuments, and 5 state parks. What wildlife will you see? The possibilities are too numerous to list all of them, so I'll stick to the more interesting. 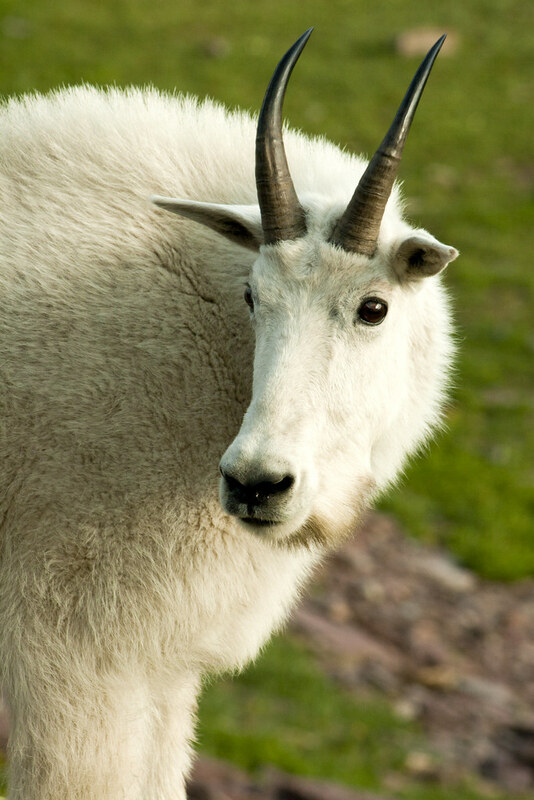 Larger mammals include black bears, mountain goats, bighorn sheep, bobcats, porcupines, beavers, red foxes, coyotes, marmots, and long-tailed weasels. Since I haven't spent much time in the desert, I'm mostly looking forward to seeing the wildlife in the Mojave Desert region in Southern California, such as gila monsters, desert iguanas, chuckwallas, horned lizards, desert tortoises, and pronghorns, North America's only native antelope. Potentially dangerous animals include rattlesnakes, scorpions, and tarantulas. A lot of people ask about bears, but they aren't as dangerous as you might think if you keep your food stored properly and your camp clean. The one animal I don't really want to see, is a mountain lion. As beautiful as they are, I find their incessant desire to hunt and kill a bit standoffish. Our goal is to finish in 4-5 months. We'll have about 3 ½ months to finish the first 2,000 miles in order to be safely out of the high mountains before the first major snowfall. Starting in the north means a lot of the trail will still be under deep snow, so navigation skills will be extremely important. We may go a mile without seeing the trail or even a footprint in the snow. Getting off course could be very easy. There will be steep snow covered slopes that could be tricky to pass. Avalanches are another possibility and something which neither of us have experience. Creek and river crossings could be dangerous this time of year, due to all of the snowmelt and a particularly snowy season up north this winter. Since so few hike southbound, we will rarely see other hikers in this section, which could be an issue if we get into trouble. It is illegal to enter the United States from Canada via the PCT, so most southbound hikers will start their hike from Harts Pass and head north on the PCT to the terminus then start their hike south. This isn't a challenge really, but something worthy of mentioning. There's a good chance that the road to Harts Pass will still be snowed in this early in the season, so we are planning to get to the PCT by connecting the East Bank Trail along Ross Lake in North Cascades National Park, then onto the Lightning Creek Trail, and the Three Fools Trail, where it connects to the PCT about 3 miles south of the Canadian Border. In all, about a 45 mile approach trail, which will take us 2-3 days to hike. We need to start late enough, so that the trail is passable in the North Cascades, but not so late that we fail to get out of the high mountains before the first heavy snow fall in the Sierras. This will require an average of about 20 miles of forward progress per day, which doesn't include hikes to roads and towns for resupplying. Failing to get out of the Sierra Nevada range before the first week of October, could mean hiking in dangerous snowstorms, getting stuck on impassible trails, and finding our resupply points closed for the season. 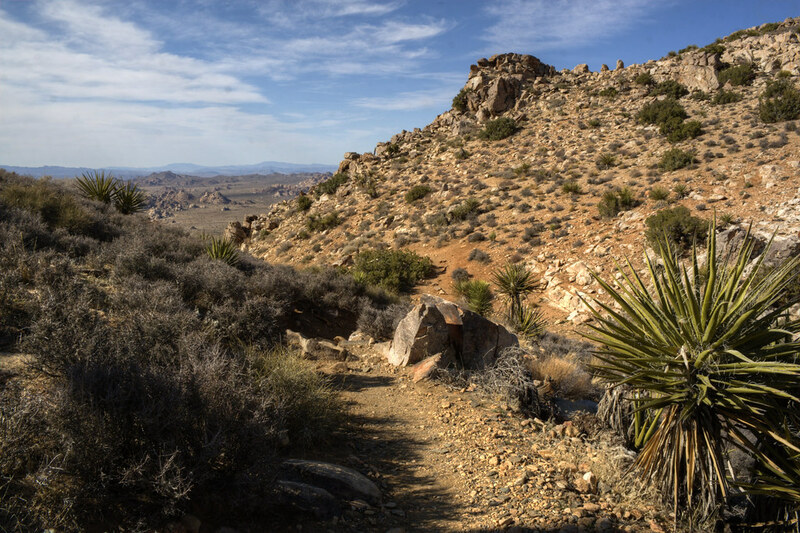 Unlike northbounders, we will be entering the Mojave Desert region in the fall, which brings cooler weather, but water availability will be at its lowest. Water caches will be less reliable as well and campground faucets may be shut off. There will be stretches of 50 miles or more without water, so this will require careful planning and will force us to carry several extra pounds of water. Not to mention this has been the driest year in California’s recorded history. This will likely be our biggest challenge. Right now my base weight (the weight of my pack not including consumables like food, water, and fuel) is just under 13 lbs. About 3.5 lbs. of that is superfluous items for photographing and recording the podcast. With food and water, it will fluctuate between 13 and 30 lbs. and could go as high as 40 lbs. on a particularly long stretch without water and/or resupply towns. My pack's base weight will also depend on the climate. In the beginning, for example, I will be carrying an ice axe and Microspikes (to slip onto my shoes for traction on ice and snow), which will add just under 2lbs. Once I update it, you will be able to see my current gear list on my bio page and Red's gear list on his bio page. The biggest expense in any long distance hike is the fact that you’re not working during those months, but the quick answer is most hikers will spend $4,000 - 6,000 (about $1.50 to $2.25 per mile). It used to be said that a long distance trail could be hiked for as little as $1 per mile, but that was 30 years of inflation ago. On this trip, however, Red and I are going to see how close to $1 per mile we can still get. That means no hotels, few restaurants, and finding creative ways to save money on food, which is by far our biggest expense. I’ll be keeping detailed notes, and posting what we learn about saving money on future posts. As for permits, those are free unless you purchase the secondary permit to hike the Whitney Portal to Mount Whitney (the tallest mountain in the contiguous United States), which costs $15 as of 2014. In other words, the cheapest rent in America. We are going to Trail Days in Damascus, Virginia on May 16th - 18th, then we're hitchhiking all the way to Washington State. We won't actually start the hike until June 14th. Even though we have no specific destinations in mind during our hitch, the route will include Denver, Salt Lake City, and Seattle so we can visit some friends along the way. During this month of hitching we have no idea what stories we'll have to tell, but it will surely be an adventure in itself. Can I send you a care package? Life on the trail often means depriving yourself of things, especially since we'll be seeing if we can still hike a long distance trail for $1 per mile. This means when you do get your hands on something you haven't had in a while, like homemade food, you love it like never before. Receiving a care package with anything highly caloric would absolutely make our day! If you wanted to send us anything, click here is a list of resupply points. Email us beforehand, and we'll let you know for sure where we'll be stopping and when. You can email us at ryan@abackpackerslife.com or red@abackpackerslife.com. We will be sure to post a photo of us enjoying it! If you want to simply donate a small amount of money, you can click the donate button near the top-right corner of this page to send us any amount securely with PayPal. We will take photos and write a post for each donation we receive to let you and everyone know how you helped our hike. I think this could be a fun way to interact with our readers, and maybe allow us to splurge on the occasional coffee or cheeseburger in town. Feel free to tell us what the donation is intended to be used for, but I'm sorry, I will not hike without pants for a day for $100 (and yes, this is directed at a real person, you know who you are). Now that I've been doing this a while, people have stopped trying to convince me it's a bad idea, so I've been getting nothing but encouragement from everyone. I just want to say thank you and I appreciate all of your support!